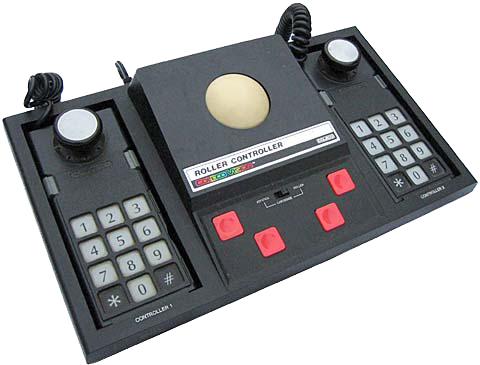 The Roller Controller is a trackball that came packaged with a port of the arcade game Slither, a Centipede clone. The roller controller uses a special power connector which is not compatible with Expansion Module #3 (the Adam computer). Coleco mailed an adapter to owners of both units who complained. The roller controller is also compatible with the games Victory, Omega Race, and Wargames, and was also compatible with Atarisoft's port of Centipede, which used a trackball for arcade play. There's a switch at the back of the unit emulate joystick controls. Thus, you should be able to use this controller with nearly any game.